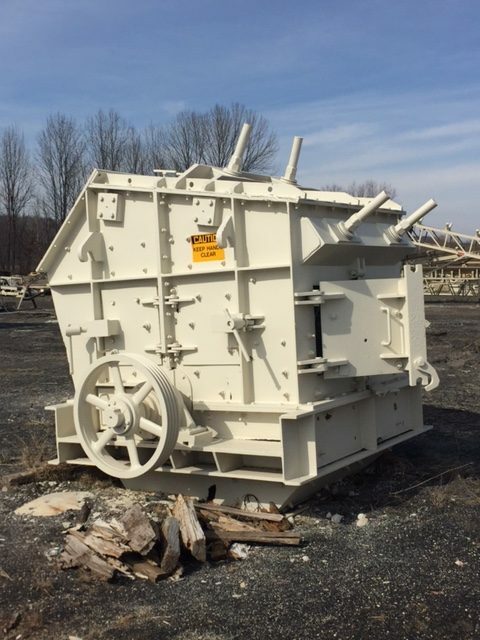 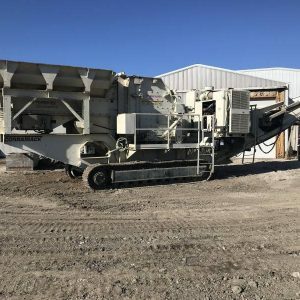 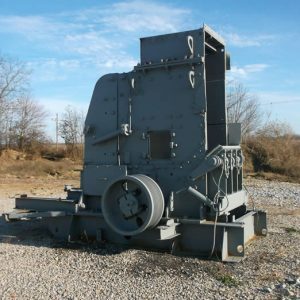 Hazemag CA200/K C-Series horizontal shaft impact crusher w/ 25×56 inlet opening, 4-bar rotor, manganese-alloy bars designed to be flipped and turned for maximum wear life. 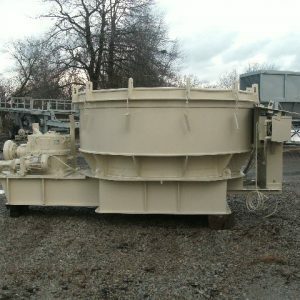 (2) adjustable curtains w/ replaceable modular wear segments. 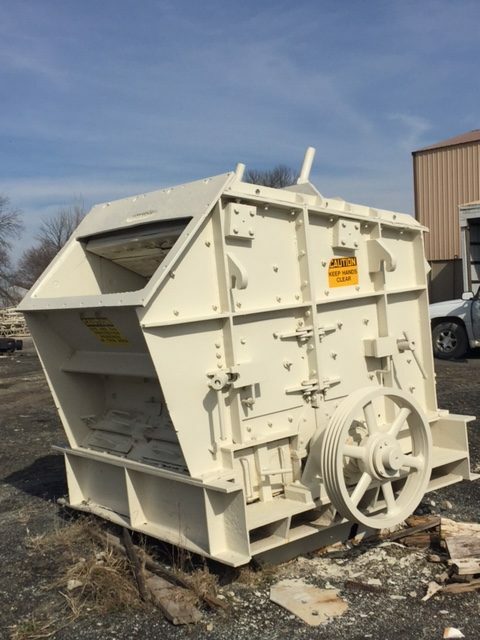 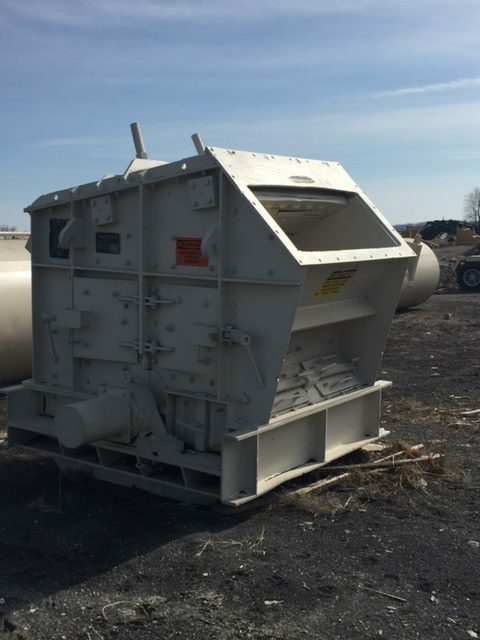 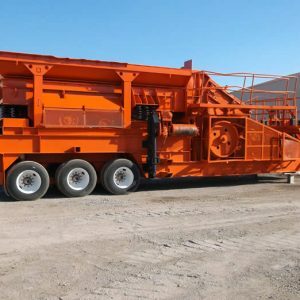 Crusher shell is open and closed hydraulically and is lined w/ replaceable wear segments.